Google has added its Duplex feature to Google Assistant in 43 states so that people with Pixel phones in those markets can use automated voice-calling technology to make restaurant reservations. 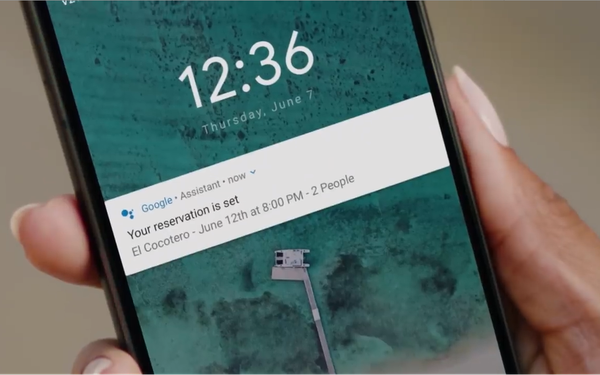 Google Duplex, which was the hit of the Google I/O event last year, allows a phone user to use the voice agent to tell it to book a table at a certain restaurant. The Google assistant then calls the restaurant, identifying itself as Google Assistant, and makes the reservation, as detailed in a Google video. Once the reservation is made, a message is sent back to the person confirming it. “Over the next few weeks, we’ll start slowly bringing this feature to more Android and iOS devices, and will continue to incorporate feedback as we continue testing,” states the Google feature announcement. The states where Duplex can be used are listed at a Google support page.